All the smartphone makers want to put their best foot forward when it comes to showing off the camera of their mobile phones. As we all know that a good camera is one of the most important factors for people when buying a new phone. May be it was this pressure that led Samsung’s Malaysia team to pass off a photo clicked with a DSLR camera as an image shot from Galaxy A8 Star. The image appears on Samsung Malaysia’s product page for the Galaxy A8 Star. The news revealed by the website DIY Photography where the author, Dunja Djudjic, herself has been the victim of such a stunt. She cites that it was a huge surprise for her to find that Samsung had actually taken one of her photo which was shot a f/2.0 DSLR camera to fake the camera’s portrait mode. 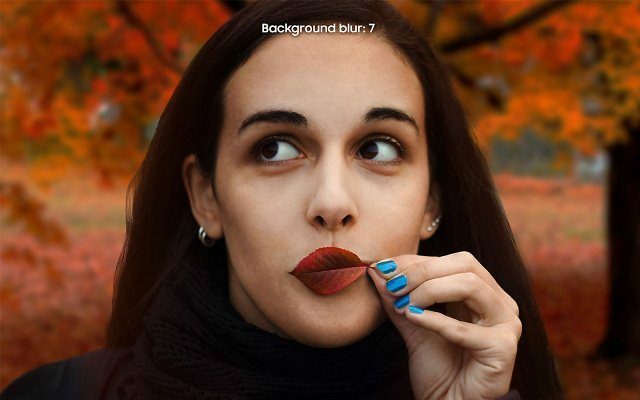 The person also claims that the background of the actual image has been changed with a park image in the background to showcase the blur effect. She further said the image has been heavily edited. But this isn’t the first time that the mobile company has been caught using professional camera photos to sell their phone. Samsung Brazil was caught up in a similar case of false marketing; displaying stock photos as Galaxy A8 selfies. Huawei Mobile Egypt published a 30-second advertisement on August 19 for its Nova 3 smartphone. The company was busted after someone examined “sample photo” and discovered that it had actually been captured on a professional DSLR camera.